In 1972, representatives of the Southeastern Michigan Association of Chiefs of Police asked Mr Lynn Marcy, a graduate of, and former instructor at the Keeler Polygraph Institute, to develop an innovative basic polygraph training programme. The first training class was held at the Royal Oak Police Department during the Spring of 1973. 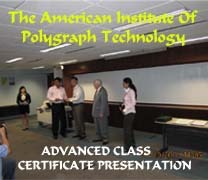 Since then, the American Institute has continuously provided professional polygraph examiner basic, advanced and specialised training courses to law enforcement and security and intelligence agencies in the US as well as outside of the US, including Canada, Mexico, Singapore, Brunei, Indonesia and Malaysia. The American Institute of Polygraph Technology provides professional polygraph training since its inception in 1973. 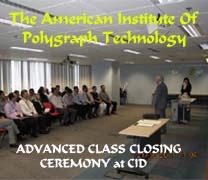 Since 1996, the American Institute conducts its various polygraph training courses out of Singapore, catering to mainly trainees from Asian law enforcement, security and intelligence agencies. Special arrangement can be made to conduct a course in any host country should there be adequate trainees to form a class. The instructors at the American Institute have a combined total of more than 100 years of practical experience in criminal, security and intelligence testing. Polygraph is a life-long learning process and trainees will no doubt find this pool of experience highly beneficial in learning the art and science of polygraph. The practical portion of our various courses, including the basic polygraph course uses actual criminal cases and 'live' subjects. Online Distance Learning version for the Basic Polygraph Course will be available soon. This course is designed to meet the needs of law enforcement agencies which cannot release their officers for a 3-month full-time course. Cost fee: USD $15,000.00. A former Special Agent in the United States Air Force Directorate of Special Investigations, Mr Lynn Marcy received his polygraph training in 1956 from the Keeler Polygraph Institute and served as its instructor. Internationally recognised for his ability and experience, Mr Marcy has provided professional polygraph training for hundreds of polygraph examiners. He has been qualified and testified numerous times as an expert witness on Polygraph Methodology and Forensic Polygraph Examinations in various State, Federal and Military Courts since his entry into this professional field in 1956. Mr Lynn Marcy is a Past President and Life Member of both the American Polygraph Association and the Michigan Association of Polygraph Examiners. He is also an Honorary Member of the American Association of Police Polygraphists, as well as various State and Regional Polygraph Associations. Mr Koa Fung Chew, is a retired Superintendent of Police with the Singapore Police Force, having served with distinction for more than 32 years. A former Chief Polygraph Examiner with the Ministry of Home Affairs, he received his polygraph training in 1977 at the American Institute of Polygraph Technology and Applied Forensic Psychophysiology, Michigan, USA and also at the Israel Polygraph Institute. He is a qualifed Primary Polygraph Instructor. Supt (Ret.) Koa has over 40 years of wide ranging experience in the government and private sectors in polygraph testing and interrogation of criminal and security / intelligence related cases, pre-employment and in-service integrity and honesty screening. In view of this proven track record, his services are well sought after by government agencies and private businesses. 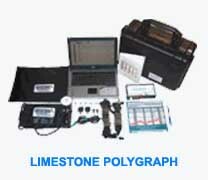 He travels regularly all over the Asia Pacific region to conduct polygraph tests for multinational companies. He has trained hundreds of polygraph examiners and interrogators, and served as intern supervisor and quality controller for more than 15 years. 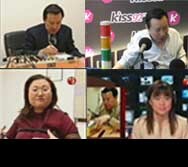 He conducts polygraph tests in English, Mandarin, Chinese dialects and Malay and brings with him the touch of the Asian culture into a field dominated by the Americans. Shirley Sturm received a Masters Degree in Physiology from Louisiana State University and completed 3 years of pre-doctoral studies in Medical Sciences at Oklahoma University. She is a graduate of both the Backster School of Lie Detection and the CIA Polygraph School. During her 34 years in polygraph, Ms. Sturm has provided training to hundreds of examiners at various polygraph schools, professional seminars and at her own polygraph school in Houston. Ms. Sturm has conducted approximately 10,000 polygraph examinations and has conducted quality control reviews of thousands of examinations. A trained Polygraph Examiner and coming from the polygraph manufacturer, Mr Chris Fausett has intimate knowledge of both the theoretical and practical aspects of the analogue and state-of-the-art computer polygraphs. A highly reputable speaker at polygraph seminars for many years, Mr Chris Fausett teaches instrumentation for both the analogue and computer polygraphs. His lectures are always crowd pullers, punctuated with anecdotes and humour. The twelve-week American Institute basic training program is specially designed for representatives of the Law Enforcement, Investigative, Intelligence, and Corrections Communities who are responsible for Screening, Specific Issue; and Parole/Probation Surveillance Examinations. Persons who do not represent those interests are not within the intended target of our program and will not qualify for admission, except where exceptional circumstances convince the Director that some special waiver is merited. We strongly suggest that candidates have at least a four-year degree in one of the Social Sciences, and also investigative experience, as well as skills and experience in interpersonal interviews/interrogations. However, we will consider candidates who have combinations of formal education and other life experience credits, together with investigative and interview experience, if they convince the Director that discretionary waiver should be granted. * Above-listed hours are approximations, depending on individual student skill development and instructor discretion, but will be targeted so as to at least to meet minimum accreditation requirements of any accrediting authority. Our Graduate Certificate will continue to require the completion of the full Internship Practicum as well as the required Research Project and the Comprehensive Certification Examinations required by the American Institute of Polygraph Technology and Forensic Psychophysiology. The first five of the twelve week in-residence portion of the basic training programme are a probationary period. Students who do not achieve a minimum average of 70% from their cumulative progress and performance examinations are subject to dismissal for cause at the discretion of the Director. In exchange for any offer of admission to training by the American Institute, any candidate AND any sponsoring party/agency by applying for such training, agree that a student in training is subject to SUMMARY DISMISSAL at the sole discretion of the Director at any time evidence provides reason to believe actions or omissions of the student constitute unacceptable breaches of ethics or integrity which might adversely affect the reputation of the American Institute, its representatives, or the profession, itself. This specifically includes CHEATING OR LYING ABOUT ANY MISCONDUCT. It also includes failure to cooperate fully in any investigation of suspected misconduct, including in particular failure to cooperate fully in any use if the Polygraph/PDD examination directed at resolving and adjudicating suspected misconduct. Also any evidence which provides reason to believe that the student has committed an undetected crime for which the statue of limitations has not expired, and of such seriousness that prosecution would result if known to the sponsoring party/agency, WILL, IN AND OF ITSELF BE CAUSE FOR DISMISSAL.